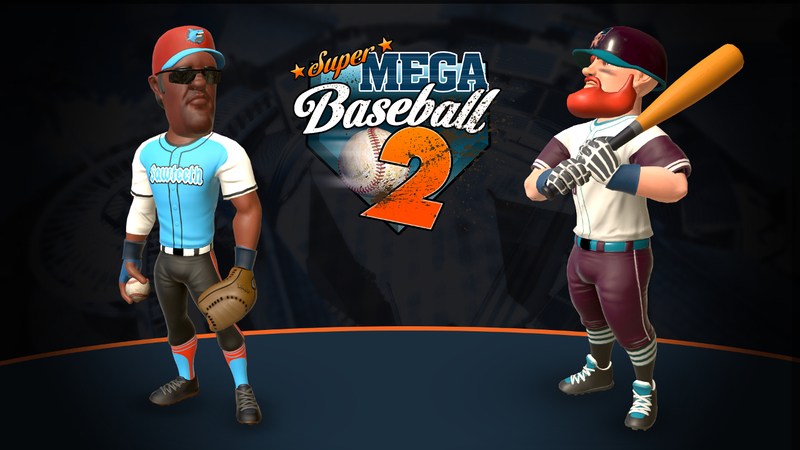 Release of the eagerly anticipated Super Mega Baseball 2 still hasn’t been narrowed down from the vague “spring” target (unfortunately it looks like it may be later rather than sooner in that March 20-June 21 window) but at least some movement has been made with announcements today. A closed beta will begin soon on Xbox One and the online features being introduced in the sequel to one of the best sports games of recent years have now been revealed. The beta will launch within the next two weeks and will be active selectively over a period of weeks. It is only being run on Xbox One, leaving out those on PlayStation 4 and PC. It will feature a limited experience that includes exhibition games and online games with the Pennant Race mode. Read the terms of the beta and sign-up to get involved here. The most glaring omission from the original Super Mega Baseball was that of online play. That has been rectified in the sequel which includes the ability to play any of the modes including Season together with up to three friends online, Pennant Race mode which offers limited-time leaderboard competitions, cross-platform play between Xbox One/PC and PS4/PC, and the fantastic Ego difficulty system which will play a role in balancing competition.